Where do your church's strengths align with our volunteer needs? Our team can outline all services opportunities, and provide you with tools for mobilizing volunteers at your church. Explore questions about homelessness and poverty by hosting a speaker from The Bowery Mission, touring our flagship location, or scheduling a workshop on caring for New Yorkers in need. We rely on donations to keep our programs running. Prayerfully consider giving a one-time gift, making us a missions partner, becoming a New York Hope Partner, or donating in-kind goods. At our annual event, over 45 church and ministry partners of various denominations came to learn more about getting their congregations involved in life-transforming work. 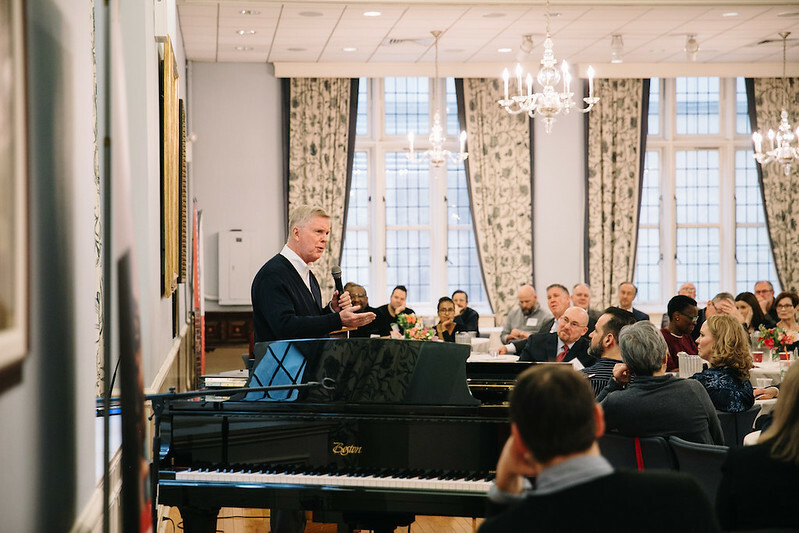 Featuring guest speaker Jim Cymbala, Senior Pastor of The Brooklyn Tabernacle, the Pastors & Church Leaders Lunch was a time for the Church to break bread, worship God and be reminded of our unity and common mission to serve with the love of Christ. Prefer to start a conversation by email or phone?